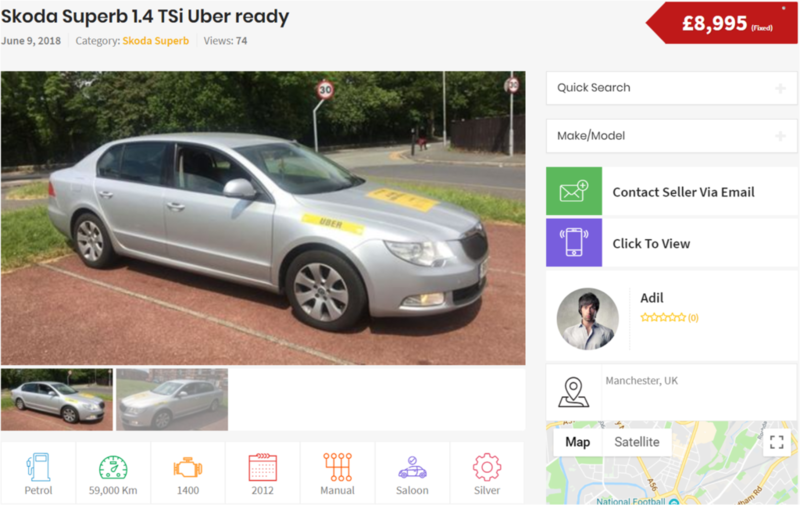 Check out the latest TAXIS advertised on Cab Trader. General cars are cars that taxi drivers may want to use as a taxi plated car. At times taxi drivers post their taxis cars when they decide to change or upgrade to a different car. This offers a wide range of used taxis for sale in the no1 taxi marketplace. In addition to our marketplace we offer several other taxi driver services such as taxi insurance, taxi products, taxi gadgets, taxi news and taxi jokes for some laughs. Cab Trader has taxi sales specialists in particular that help taxi drivers find the best deal on taxis that are for sale on Cab Trader. Taxi drivers can save money when they are purchasing a taxi on here as we provide a 30 point inspection list for used taxis for sale. The benefits of Cab Trader are that there is no middle man you simply buy a taxi from the direct owner. Hackney Carriage Plated Taxis whether this be a Black Cab or normal standard car. Wheelchair accessible cabs and taxis such as the Peugeot E7 and Mercedes Vito Taxi. Private Hire consists of saloons, hatchbacks and MPVs. These can be found plated with a council so they are ready to be used. Standard cars recommended by taxi drivers, that can be plated for private hire use. Most common cars can be Toyota, Vauxhall, Ford, Volkswagen and Soda. The list goes on. Minibus taxis for sale that have wheelchair access can be found on here. Minibus have from 9 to 18 seats. You will find the best taxi manufacturers such as Metro Electric Taxi, TX Ecity Electric Cab and Tesla. Cab Trader has experience in advertising a wide range of new and used taxis throughout the UK. Focusing on a wide range of taxis for sale from reputable manufacturers including Toyota, Ford, Volkswagen, and Metro. Established in 2014, providing exceptional customer service as well as consistently having a wide range of new and used taxis for sale. 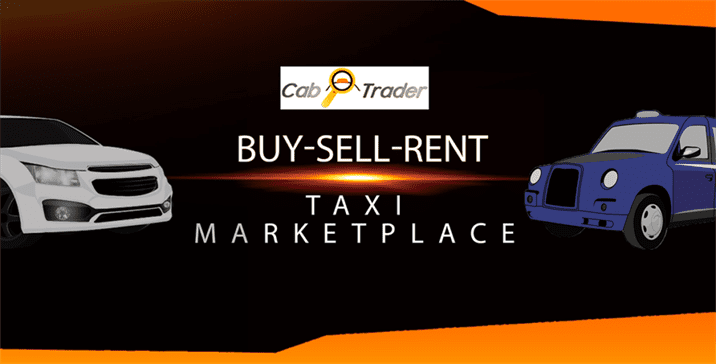 Cab Trader taxi marketplace is specifically for individual taxi drivers and trader drivers that want to advertise fleet of taxis. On the other hand we do get non taxi drivers visiting our site to buy used taxis as they are cheaper than normal cars. 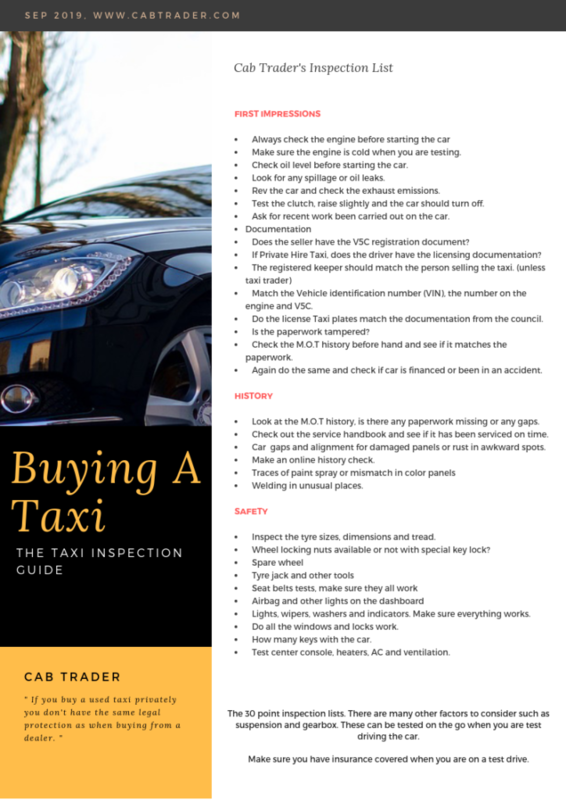 Generally if you buy a used taxi privately you don’t have the same legal protection as when buying from a dealer therefore it’s up to you to ask the right questions and check the car thoroughly before you buy. Make sure the engine is cold when you are testing. Check oil level before starting the car. Look for any spillage or oil leaks. Rev the car and check the exhaust emissions. Test the clutch, raise slightly and the car should turn off. Ask for recent work been carried out on the car. Does the seller have the V5C registration document? If Private Hire Taxi, does the driver have the licensing documentation? Match the Vehicle identification number (VIN), the number on the engine and V5C. Do the license Taxi plates match the documentation from the council. 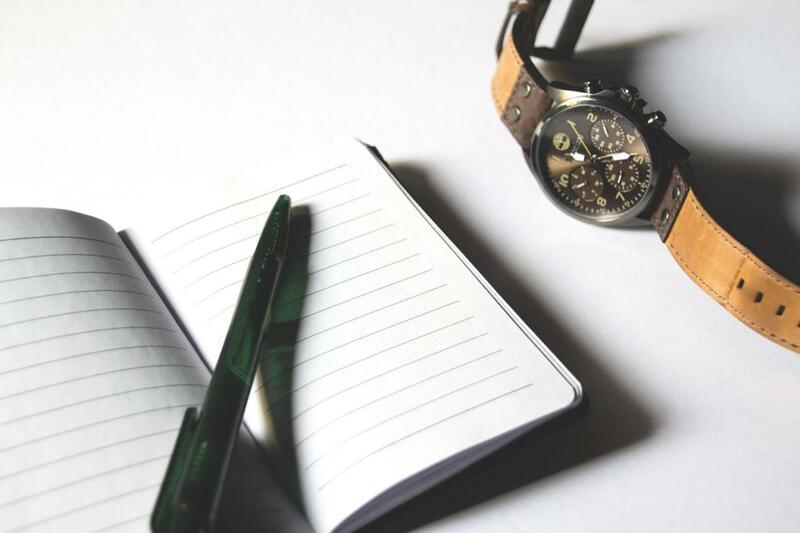 Check the M.O.T history before hand and see if it matches the paperwork. Again do the same and check if car is financed or been in an accident. Look at the M.O.T history, is there any paperwork missing or any gaps. Check out the service handbook and see if it has been serviced on time. Car gaps and alignment for damaged panels or rust in awkward spots. Make an online history check. Inspect the tyre sizes, dimensions and tread. Wheel locking nuts available or not with special key lock? Lights, wipers, washers and indicators. Make sure everything works. Do all the windows and locks work. How many keys with the car. Test center console, heaters, AC and ventilation. The 30 point inspection lists. There are many other factors to consider such as suspension and gearbox. Inspect them on the go when you are test driving the car. As a rule always complete the inspection before making an offer. Lastly make sure you have insurance covered when you are on a test drive.